Want ADS-B but need a GPS? European pilots who operate EASA type approved aircraft can now upgrade their TT31 or TT22 Mode S transponder to be ADS-B Out capable, using popular Garmin GNS and GTN WAAS Navigators. Other suitable GPS units can also be used, including Trig’s TN70 GPS position source. Our free EASA STC and ADS-B STC AML (approved model list) is available via Approved Trig Dealers. It enables numerous aircraft to be legally configured using either a Trig TT31 or TT22 transponder, with listed GPS units. This is a practical and cost effective way to become ADS-B Out equipped, enhancing your visibility and flight safety. The following WAAS GPS units are compatible and approved for use with TT31 and TT22 transponders. 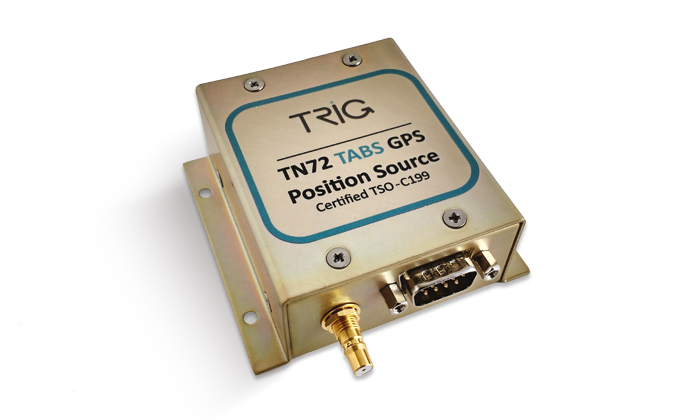 Please note – our TN72 GPS Position Source can be used for voluntary equipage of ADS-B. In Europe the installation of a TN72 in an EASA aircraft uses our free EASA Minor Change, an AML (approved model list). July 2018 – Aircraft models are listed on our TT31 STC. July 2018 – Aircraft models are listed on our TT22 STC.